The Acura MDX is a seven-passenger luxury crossover SUV that does family like prime-time television. With the MDX, Acura competes with vehicles such as the Lexus RX, the Infiniti QX60, and the Buick Enclave. When trimmed out in their most expensive versions, the Nissan Pathfinder and Volkswagen Atlas might also be considered competitors. The Acura MDX comes standard with front-wheel drive, although all-wheel drive is optional. The MDX has good handling and interior space, not to mention a wealth of in-car technology. It's been one of Acura's best sellers for a long time, for a reason. The Acura MDX now shares some of its running gear with a number of other Acura and Honda models, including the Pilot crossover and earlier versions of the Odyssey minivan. Today's MDX was introduced for 2014, the result of a complete redesign of the model. The body is much sleeker, with improved aerodynamics; it has lots the blocky, somewhat blunt look of its predecessor. 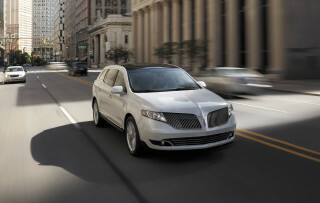 The 3.5-liter V-6 is fitted with direct injection and returns better fuel economy than before. Acura also added advanced safety features to the MDX's roster, including adaptive cruise control and forward-collision warnings. 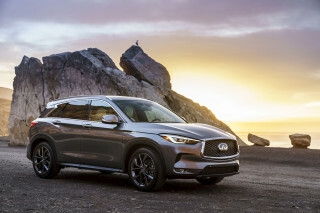 The current model receives a five-star overall rating from the NHTSA, as well as the IIHS's Top Safety Pick rating, putting it at the top of its class in safety. 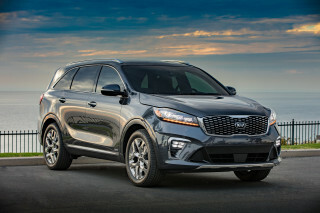 This generation is the first to offer a front-wheel-drive MDX, broadening its appeal to those in warmer climates who don't need all-wheel drive and its attendant fuel-economy penalty. The Super-Handling All-Wheel Drive system is once again available. Handling is still crisp for a crossover, but the latest MDX has lost the sharp dynamic edge of the previous model. Those who prioritize comfort will, of course, see that as a good thing. The 2017 MDX has a few key changes. The 3.5-liter V-6 engine is now mated to a 9-speed automatic transmission for improved efficiency, and the available Advance package also adds an engine stop-start function to further improve fuel economy. The front-drive MDX now hits a maximum of 23 mpg combined. Several other features have been added as standard or optional equipment, including a revamped suite of safety features now called AcuraWatch, which includes road-departure mitigation and a rear cross-traffic monitor. The optional SH-AWD system has been redesigned as well, now featuring a lighter rear differential that has switched to a dual-clutch design for what Acura claims is better responsiveness. An MDX Sport Hybrid was released for 2017 and featured the same "through-the-road" hybrid technology found in the RLX and NSX. Electric motors can power two wheels alone, which means that not only is all-wheel drive standard, but a "sportier" torque vectoring system helps carve a cleaner corner. No one will confuse an MDX with a sports car, but a least Acura's pricing for the Sport Hybrid model is aggressive. For 2018, Acura updated its 7.0-inch touchscreen with a faster processor and more responsive screen. 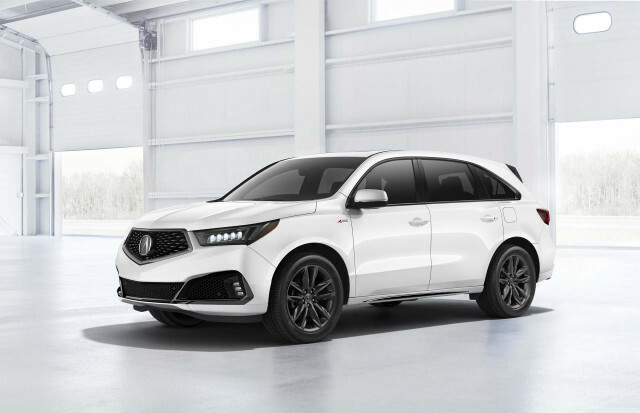 For 2019, Acura added a sporty, A-Spec appearance package to the MDX. The MDX entered the market back in 2001, when it supplanted a slow-selling vehicle dubbed the SLX—simply a rebadged version of the then-current Isuzu Trooper. Offered as a seven-passenger crossover, the original MDX came with a single drivetrain, a 3.5-liter V-6 with 240 hp, mated to a 5-speed automatic and AWD. Over the years, this first MDX would see its power boosted to 265 hp, while it added features such as Bluetooth connectivity, a rear-seat DVD entertainment system, Bose audio, satellite radio, and a voice-activated navigation system. Side-curtain airbags were added to the MDX's safety package, and the original model performed well in crash tests. While it never reached the prestigious ubiquity of the Lexus RX, the Acura MDX became a reliable sight in upscale mall parking lots and commuter lanes thanks to its luxe equipment, airy interior, and relatively good ride and handling. The second-generation MDX arrived for the 2007 model year with a substantial look and feel both inside and out. It featured a 3.7-liter V-6 engine with a power output of 300 hp as well as a new all-wheel-drive system. "Super Handling All-Wheel Drive," as Acura called it, was related to the one that would bow in the Acura RL large sedan and featured true mechanical torque vectoring on the rear axle. Standard equipment included a sunroof and leather trim, while options included a high-quality premium audio package; voice-activated navigation; and a rear-seat DVD entertainment system. 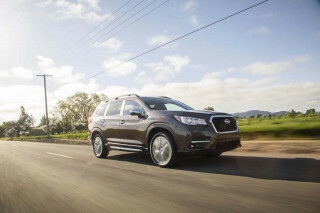 Handling remained above-average for a crossover of its size, while the MDX's interior grew more spacious and useful, giving it one of the most adult-friendly cabins of any crossover vehicle. Fuel economy was not a strong point at 14 mpg city, 20 highway originally and then improving to 16/21 mpg in later years. This was in part due to the heavy and complicated AWD system that was fitted for this generation. In 2010, the MDX was lightly refreshed, which included Acura's new and controversial corporate grille, which some likened to a bottle opener, though we found the MDX version of that design to be the best-integrated one found on any Acura. The MDX also received new electric power steering that year, but it missed the mark completely for responsiveness (it's too fast) and heft (it's too light). Safety remained a strong point, with the MDX named an IIHS Top Safety Pick. In 2010, the two-door Acura ZDX was introduced, with the model sharing some mechanicals with the MDX. Its severe lack of interior space led to very low sales, however; it was withdrawn after 2012. The Acura MDX changed very little for 2013, the last year before the entirely redesigned 2014 model. 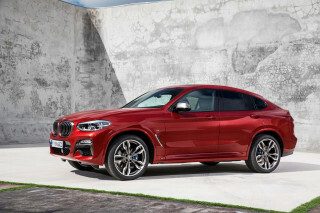 Great SUV that includes luxury and a great price. So far I love the car it is easy to drive and has a lot of creature comforts. Sound system sounds great and fun just driving.